From the moment that we heard Shannon Bennett was getting into the burger game, we were excited. And in case you missed it, that time is now here, and what a time it is to be alive. 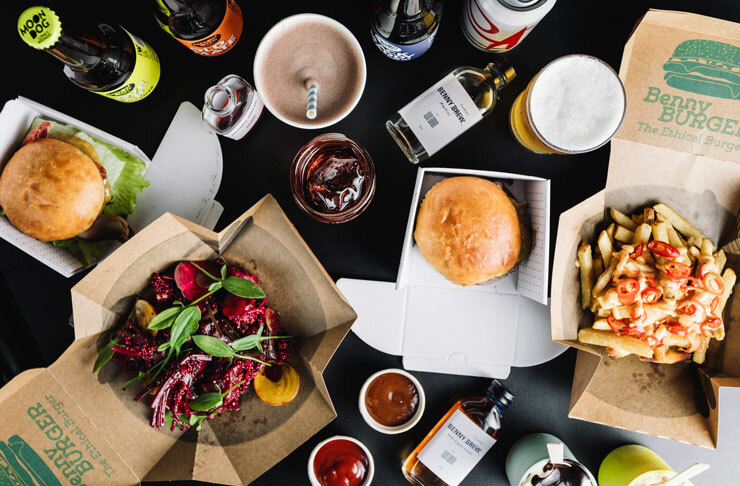 Shannon Bennett needs absolutely no introduction, and it’s been no secret that the man behind Vue de Monde has had a burger project in the works for a while now. 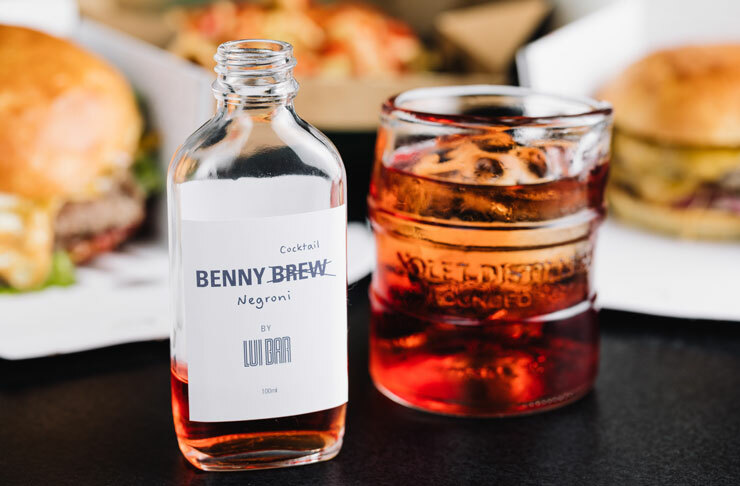 Benny Burger is named for Shannon’s dad Benny Bennett, whose backyard BBQ burgers inspired him to create burgers that are made from fresh, quality, local ingredients. “If you want to know exactly where what you put in your mouth has come from, come to Benny Burger”, Shannon says. 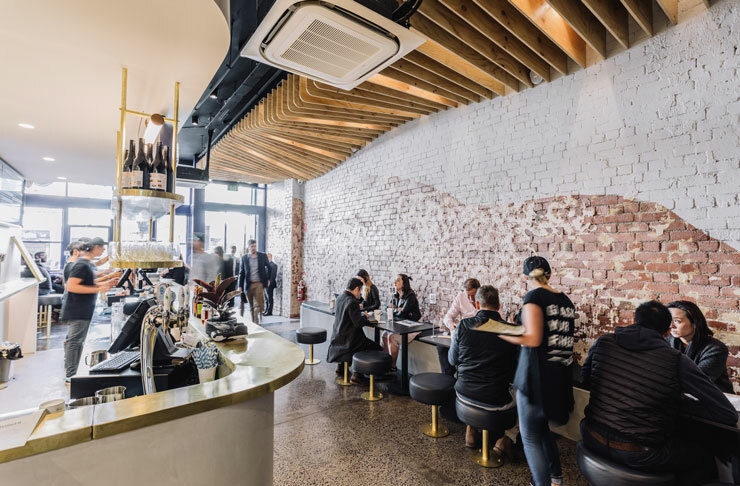 Walking into Benny Burger you'll find a contemporary space with tables along the left-hand walls, booths at the back along with arcade game tables along the adjoining wall of the kitchen for you to play while you wait to dig in. Beef is sourced from Blackmore wagyu, spuds are straight out of the fertile soil of Gembrook, eggs from Goulburn Valley Farm and milk from Schulz Organic Dairy. Not only that, but the group’s Burnham Bakery will be baking all of the buns locally. That’s sure to get a rise out of you. You’ll find some absolute classics on the menu. From the No Apologies Double Cheese featuring double cheese (no surprises there), double beef, onion, pickles, ketchup, mustard and mayo, The Chang, which is a bit of a middle finger to David Chang (of Momofuku fame) who suggests that Australian’s ruin burgers by adding egg and beetroot to them. The Chang features (of course) a fried egg and a healthy slap of beetroot relish. You’ll also be able to grab all-day breakfast in the form of The Tradie, piled high with everything a good brekky needs (beef, fried egg, bacon, cheddar, bbq sauce, mayo) or if you’re looking for something a bit smaller, then The Apprentice is right up your alley. It definitely wouldn’t be a burger joint without fries, which you can get salted or loaded. You can also get your hands on a hand-dipped potato cake, along with a healthy selection of Concretes, which come in some classic dessert flavour combos like Lamington and Salted Caramel Tart. For the parched, there's a selection of shakes, organic soda, coffee and juice, as well as beer on tap and a bit of vino by the glass. And if you're in the market for a cocktail, there's a range of Benny's Brews for you to tuck into. Get all the details on Benny Burger here.